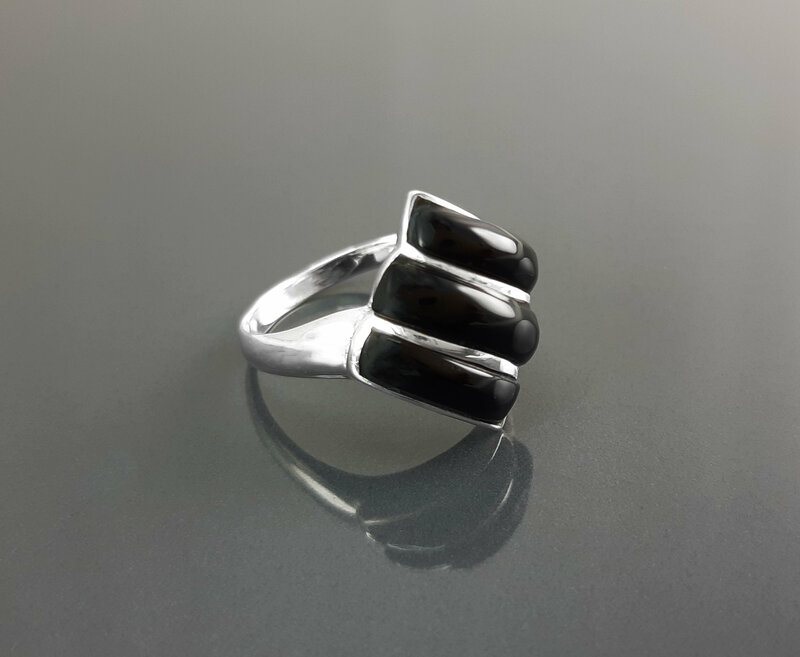 Onyx Modern Ring - Sterling Silver, Small Ring, Black Onyx Gemstone, Three Stones, Modern Ring, Diamond Shape Ring, Teens, Gift, XMas. 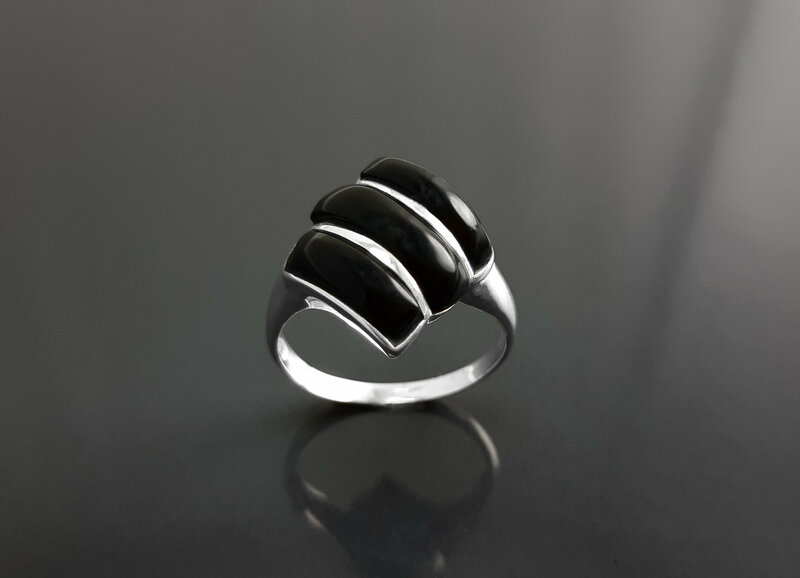 Simple and Chic in Design, this Sterling Silver Ring is set with Three Genuine Black Onyx gemstones Reflection. A stunning Ring. 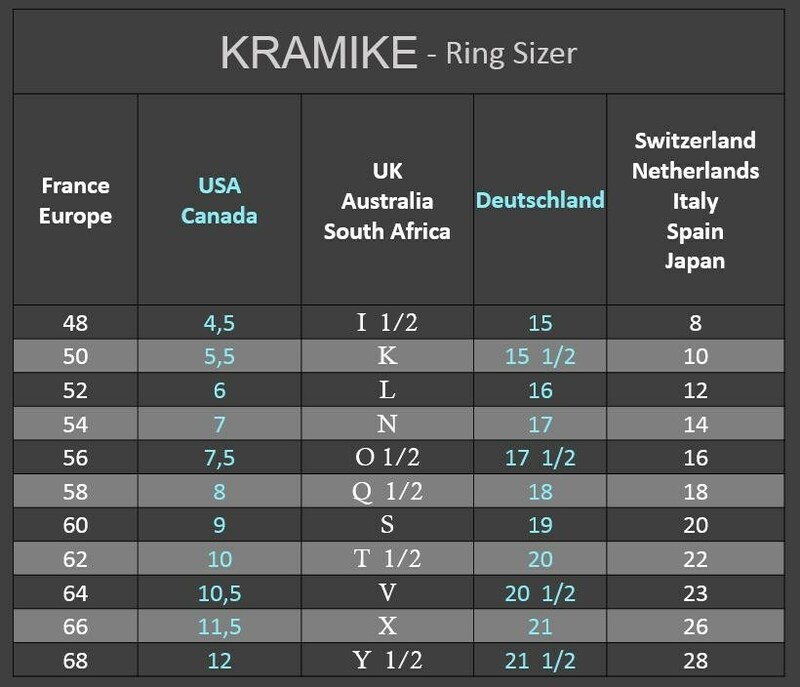 Ring is 1.4 cm wide. 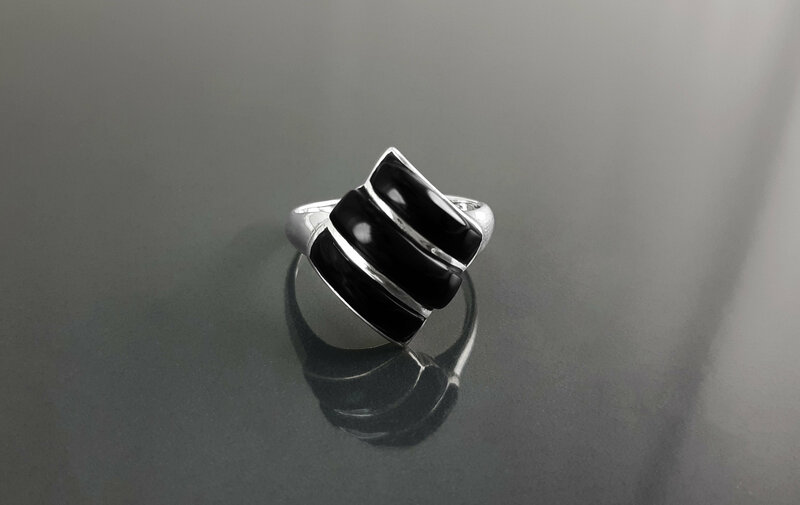 * Ring can also be done with Mother of Pearl for a bright shining version. 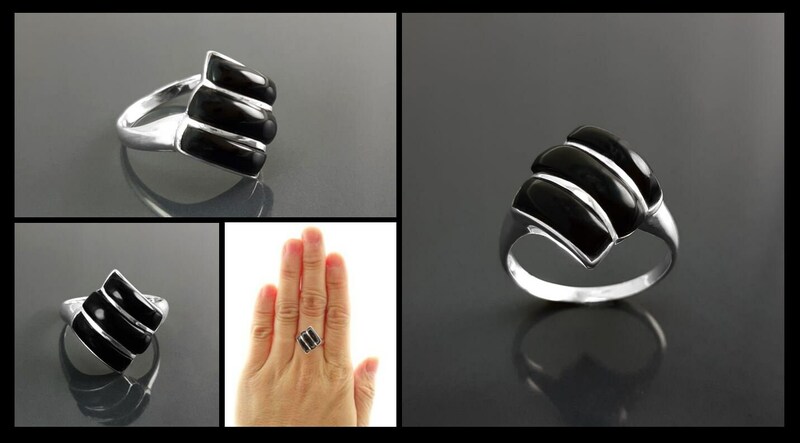 * Ring can also be done with Black Onyx and Mother of Pearl for a great combination. Simple but striking ring, thank you!